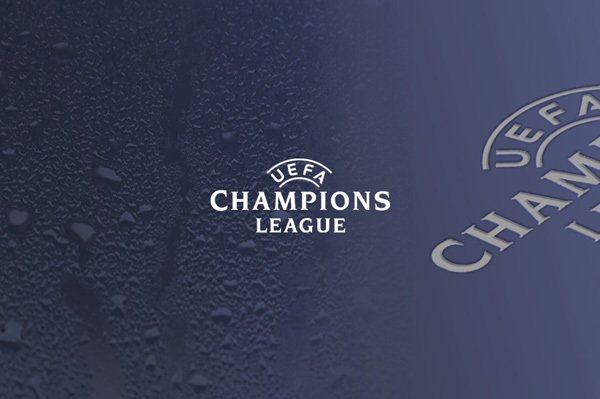 In 2015, UEFA was given a new image and commissioned the production office with the technical planning of the Live Draw TV productions. The production office then hired Hans-Christoph Mücke as creative director. And me as the event director. Once a year, everyone who is anyone in the world of football meets at the Grimaldi Forum in Monaco to experience this exciting event and to witness live which teams will be paired against each other in the coming season. Both events are of course broadcast live. Every two years the live broadcast of the Final Draw takes place. In 2015, it was from Paris. I really like working as an event director for other directors. My cooperation with Hans-Christoph Mücke, creative director for many successful opening ceremonies in the sports sector, has been very close. Hans understands how to perfectly compose and stage grand emotional images. 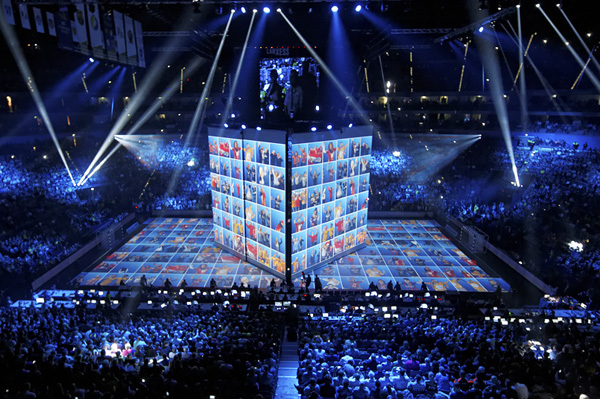 Since 2011, Hans has been responsible for the opening shows at the Final4 handball game at the Lanxess Arena in Cologne. The Chinese Octagon Impact Communications agency, Beijing hired me for the world premiere of the new VW Bora, FAW-Volkswagen, in Haikoo China on 20 and 21 March 2016. Lead agency: ACC, Beijing. The light designer was once again Henning Schletter. We set off with our complete direction and stage management team and of course several light operators. The venue was the film studios in Haikoo, where 3,000 dealers worldwide had been invited over two consecutive evenings. My job was to stage the interactive, multimedial vehicle presentation, 60 dancers, acrobats, singers and the Argentine aerial acrobatics group “Fuerza Bruta”. And in addition to that, calling the show for the almost exclusively Chinese team. 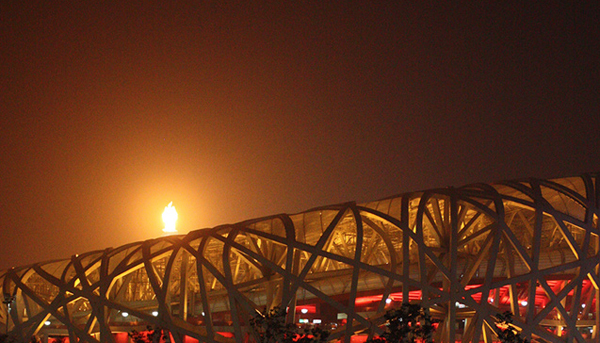 One of my absolute personal highlights was and will always remain the Olympic Showcase in Beijing 2008. The VW Group was the official sponsor of the Olympic Games. Eva Wolf Produktion produced a spectacular aerial show for the VW Group and engaged me as event director. The contracting agency was De Otter & de Vries. As lead agency, Wolf Production was contracted with the complete show production of the BMW International Motor Show stand at IAA 2013 in Frankfurt. During the BMW i Highlight Show, the BMW i3 and BMW i8 models were presented in a modern driving event live on stage on an 800 metre-or-so track running through the entire exhibition hall. On the second exhibition stage, the motor show visitors were treated to a factual interactive talk show. Idea, concept and implementation: Eva Wolf. In 2015 MINI then also became a customer. And Eva hired me as event director again. The Lavera Showfloor was an integral part of Berlin Fashion Week from 2013 – 2015. The Lavera company supported young international designers who produced their fashion purely sustainably. In three days, 13 – 16 young designers presented their Eco Fashion at two venues: “Umspannwerk” at Alexanderplatz and in “E-Werk”. Here, too, I collaborated with Eva Wolf, who I chose to be my choreographer. 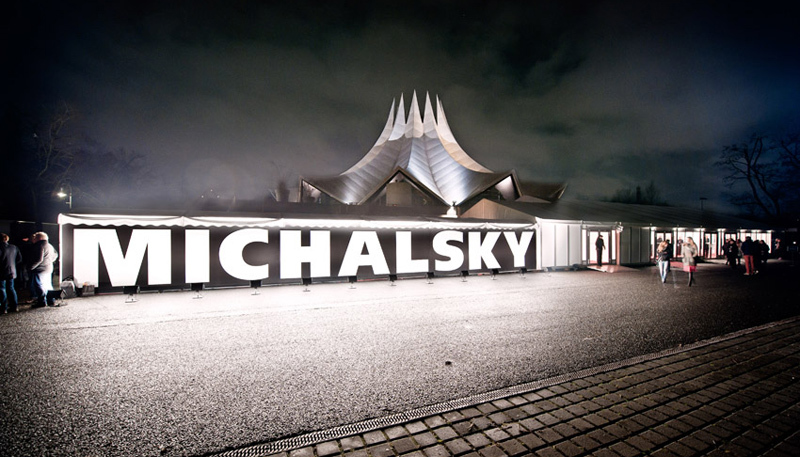 StyleNite by the Berlin designer Michael Michalsky is a cultural event and takes place twice a year as part of the Berlin Fashion Week. In summer 2012, I was commissioned as event director. The venue was the Tempodrom. The Michalsky fashion shows of course form an integral part of StyleNite. And musical live acts by both established and newly discovered musicians. The Federal Ministry of the Interior invited guests to celebrate the second awarding of their helping hand “advancement award” at the ministry. Around 200 invited guests and over 1,000 spectators were able to watch the online live stream as community volunteers were honoured for their work. Every year, about 200 projects are promoted. Magazine and information programmes broadcast live with video recording, moderation, news bulletins, studio talk, interviews and on-location commentary and talk shows with three to five participants. 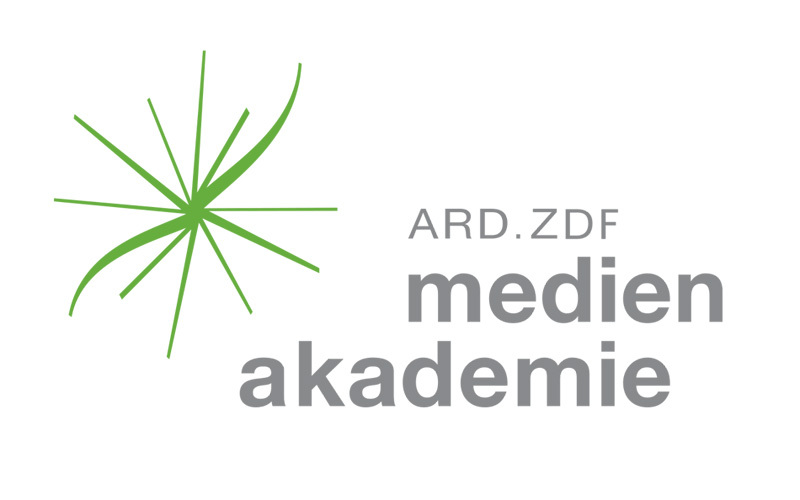 The coaches were Erich Totzauer from Vienna and Claus Fokke Wermann from SWR Mainz broadcasting company.